Be it any food milk, paneer, tea or oil, nothing comes in its purest form.Till the time it reaches you it is adulterated and it becomes harmful. Therefore, here are some methods to spot the adulterated food material. Not always does the chai we drink comes straight away from the Assam field. In order to determine whether the tea powder is pure, put a teaspoon of it in cold water; if the cold water turns brown then your tea is adulterated! We stock frozen peas in our refrigerators because they come in handy. However, some packets consist a dye compound called ‘malachite green’, which can trigger stomach related ailments.How to spot fake: Take water in a kadhai and put some peas and stir. If the water turns green, then immediately discard the packet as they are unsafe to consume. Cinnamon sticks can be checked for adulteration by smashing the sticks with the hands, if your hands get the color of the sticks, then they are authenticate, if not then they aren’t. An old saying, “an Apple a day keeps the doctor away” doesn’t work when the apple is polished. To spot polished apple: Take a knife and slowly scrape the skin of your apple. If the there is a white wax on the knife, then the apple you are eating is polished. Even pepper can be adulterated with mineral oil! How to spot a fake: An adulterated pepper would shine and emit kerosene smell. Milk can be adulterated with detergent and synthetic milk too. To determine adulteration: Mix 10 ml of water and milk in the same proportion. If you notice foam or lather, then the milk is adulterated with detergent. To detect synthetic milk, boil the milk. If a yellowish lather forms, then the milk is synthetic. Coconut oil can be mixed with other oils that are cheap. To check adulteration: Keep the coconut oil bottle in refrigerator, if the oil gets solidified it is coconut oil, if it stays liquid that means it is an adulterant. To find granules of sugar is not the only way to check the purity of honey. How to spot fake: Take a cotton wick and dip it in honey. Then try to burn it. If the wick burns readily then the honey is pure, and if it crackles then it’s not. Paneer is the most adulterated item in the liste of the adulterated foods. Paneer is adulterated with starch and served in the hotel. To spot adulteration: Add a paneer cube in a bowl and add some water to it and boil. After it cools down, add a few drops of iodine solution on it. If the paneer turns blue, then there is starch in it. Chilli powder resembles a lot like crushed red brick powder and thus added in the masala. 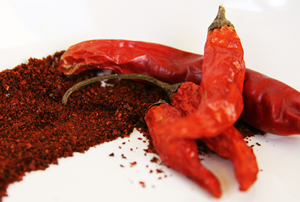 To spot adulteration: Add a teaspoom of chilli powder in a glass of water. If the water turns red, then it is pretty clear that the chilli powder is adulterated. While the above article guides you to eating healthier, there is no substitute for customized professional advice given by a qualified nutritionist. We urge you to speak to your personal dietician or if you need help, contact a nutritionist at Qua Nutrition. You can contact us at 080 3232 9292 or log on to www.quanutrition.com to Book An Appointment.